Home News Entertainment & Events Here he comes! Santa, Mrs. 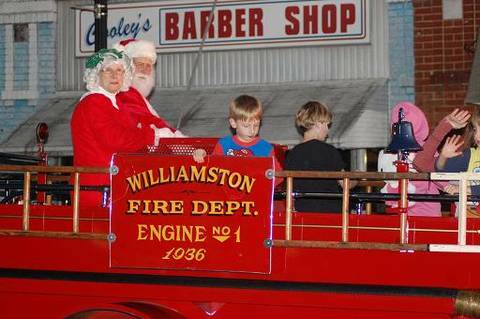 Clause and some helpers make their way through downtown Williamston on the town’s 1936 antique fire engine.